Isobar has published a white paper explaining how brands can leverage Headless Commerce to create experiences across an entire ecosystem of touchpoints. 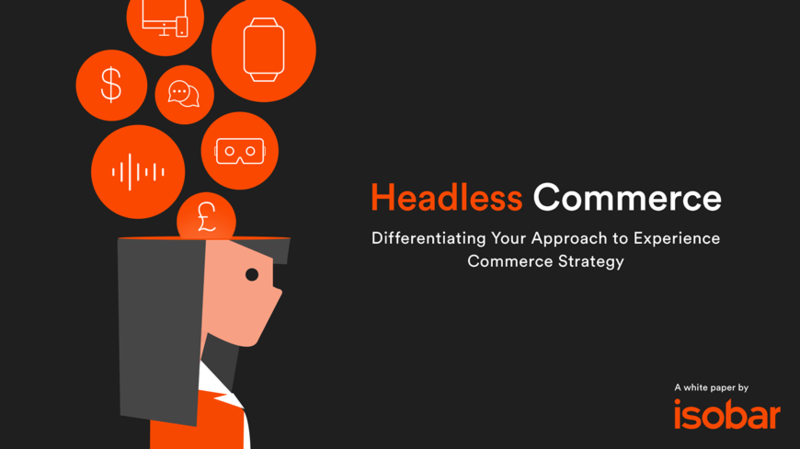 Using the Headless Commerce approach enables brands to build long-term customer relationships and deliver sustainable business growth. Authored by the Isobar UK and Global team, the white paper makes the argument that the reconfiguration of legacy systems can support the functional, emotional and tangible needs of a customer experience. It explains how the Headless Commerce approach provides brands with greater control over the UX, giving them a consistent identity across an entire ecosystem of touchpoints, and a foundation to create long-term customer relationships that can deliver sustainable business growth. Vikalp Tandon, Global Chief Technology Officer, Isobar, said, “One of the biggest challenges in the experience economy for brands is to engage consumers at every touchpoint across an ecosystem. This goes beyond serving the right content at the right time, it originates in the brand’s technology infrastructure that powers their digital presence. The Headless Commerce approach allows brands to deliver a truly customer-centric experience at speed and scale which is key in today’s landscape, and moving forward." The white paper was authored by Mustafa Rashid, Isobar UK Head of Emerging Technologies, and Vikalp Tandon, Isobar Global Chief Technology Officer. To download the white paper, fill in the form below. The white paper will open in a new tab. If you have issues accessing the white paper, please check your browser pop-up settings.